The Mal Pais Canopy Tour is set in the tropical forest next to the Cabo Blanco Nature Reserve. 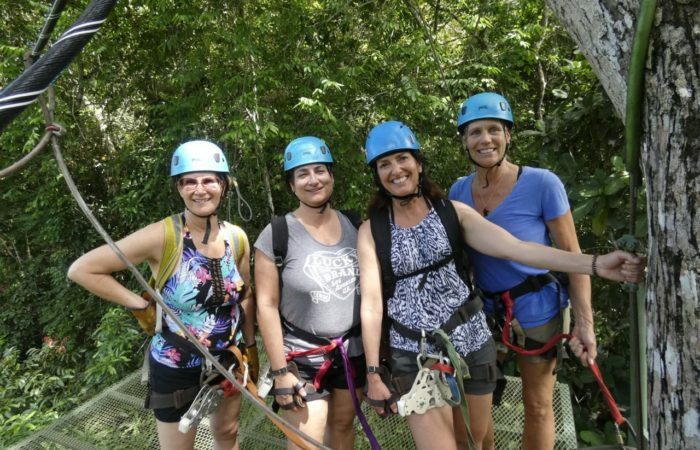 Taking a zipline tour through the treetops is an exhilarating and thrilling experience; this tour also gives you great views of the Pacific Ocean and coast. The ziplines are almost 1 mile long with 11 platforms. 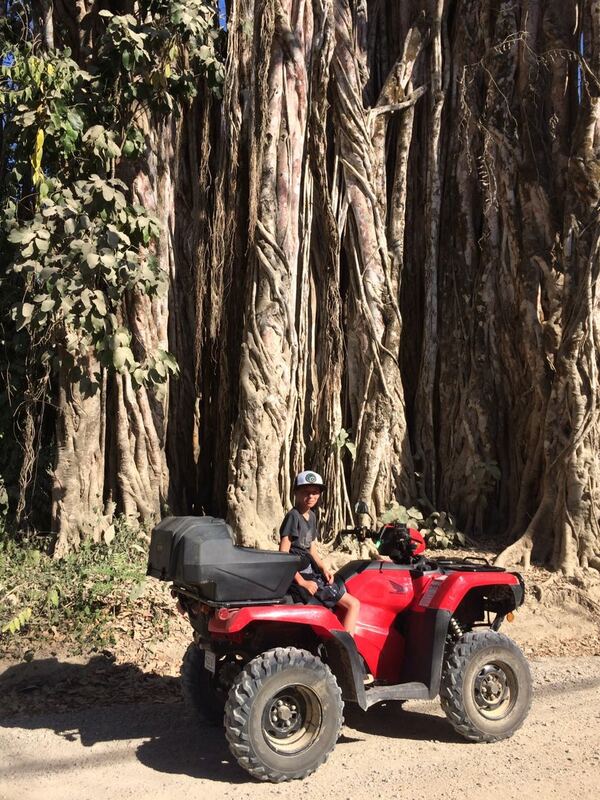 The longest rides are 500m along a creek, and 300m across a canyon at a height of 30 m. No experience required. 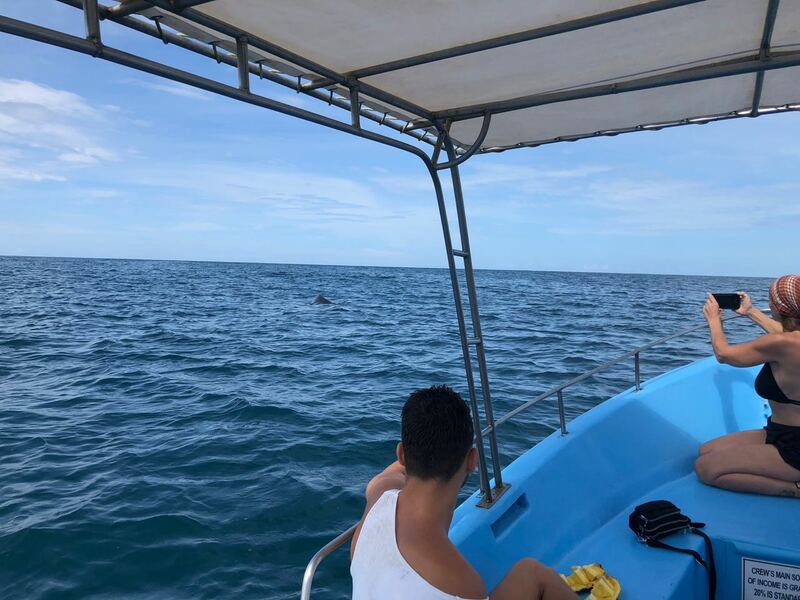 Canopy Schedule: 9:00 a.m. / 11:00 a.m. / 3:00 p.m.
We offer four different fishing options, plus snorkeling, in the very best spots in the Santa Teresa area. 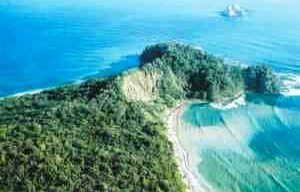 You can do spearfishing, trolling, casting, or open water fishing in the beautiful clear waters off the Nicoya Peninsula. Maybe you’ll come back with dinner! 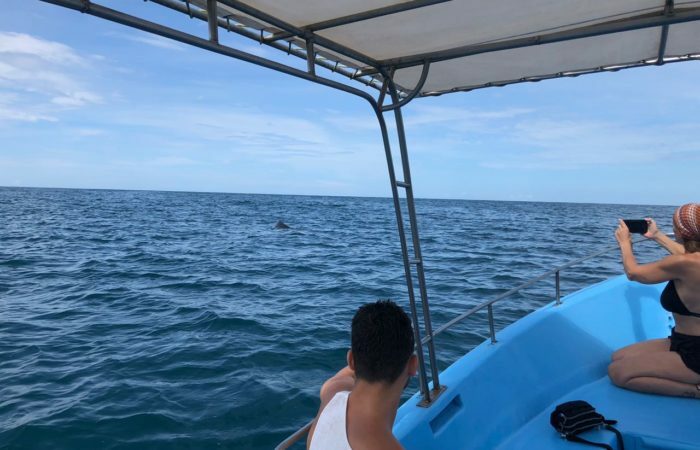 Our experienced captain and guide will explain the conditions of fishing at the time, and give you the best options for where to go and what to do. 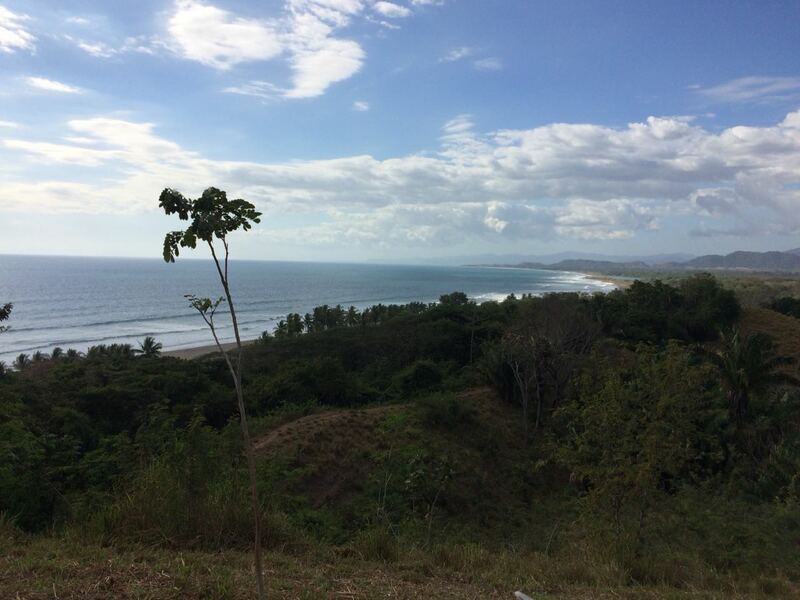 This tour also gives you the chance to see beautiful views and a different perspective of the Peninsula. The tour includes all professional equipment, but if you have your own please feel free to bring it. The boat will have a small ice cooler with cold water, soft drinks, beer and fruit. What to bring: swimwear, sandals, sun hat, sunglasses, sunscreen, towels, camera, and long-sleeved shirt for sun protection. 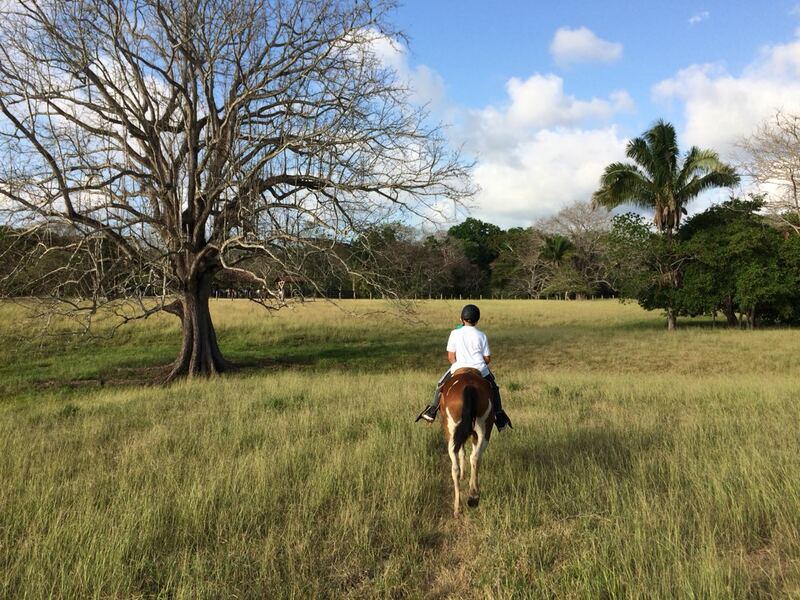 Come on a fun horseback ride through Ario Ranch, where they have the best horses in the area. 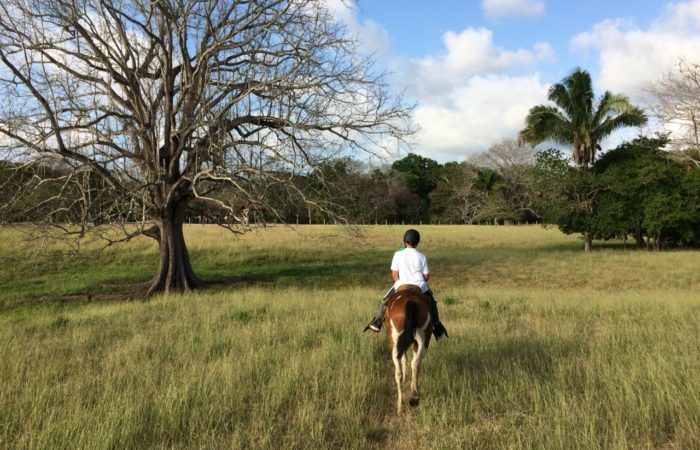 This is a family owned and operated ranch that protects one of Costa Rica’s most important watersheds, a turtle nesting habitat and the Caletas-Ario National Wildlife Refuge. 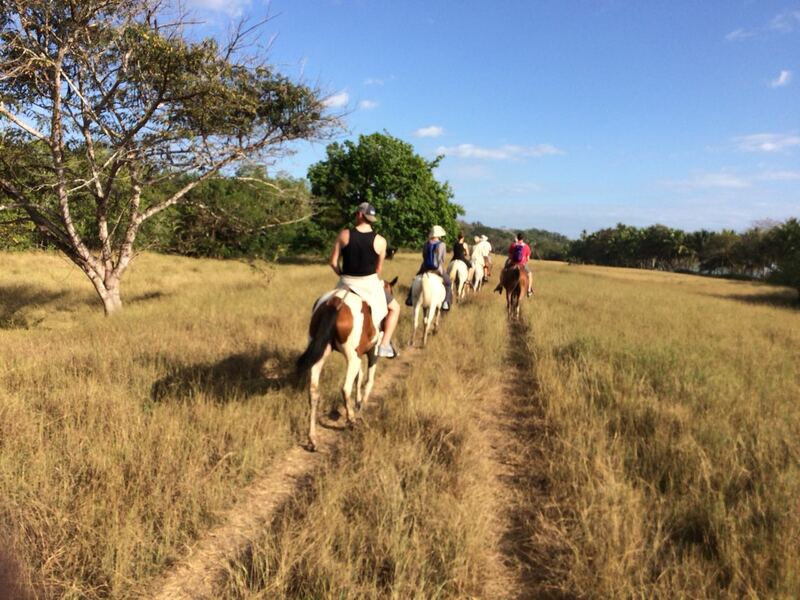 Enjoy a natural landscape of rivers, mountains and beaches, while you ride accompanied by local cowboys. 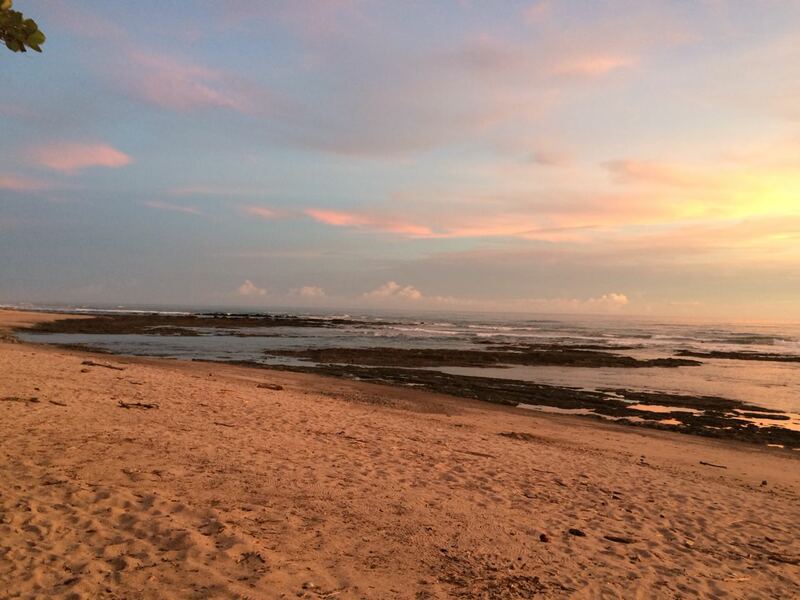 On the afternoon tour, you will see the spectacular sunsets that grace our area. Rides are suitable for children ages 10 or older. 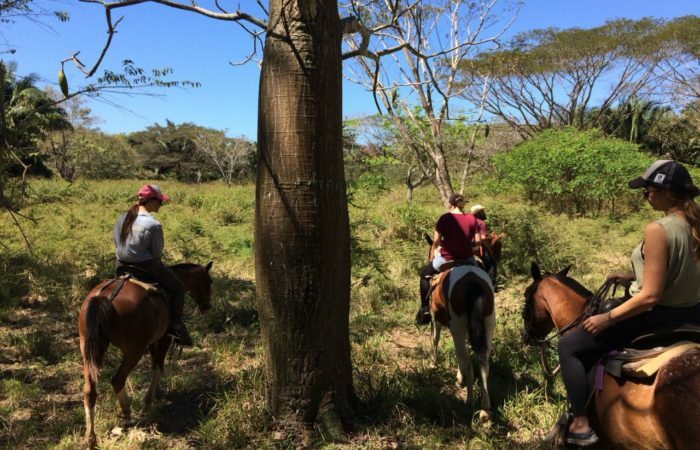 This tour is perfect for both first-timers and experienced riders. Departure times: 8:00 a.m. / 2:30 p.m. 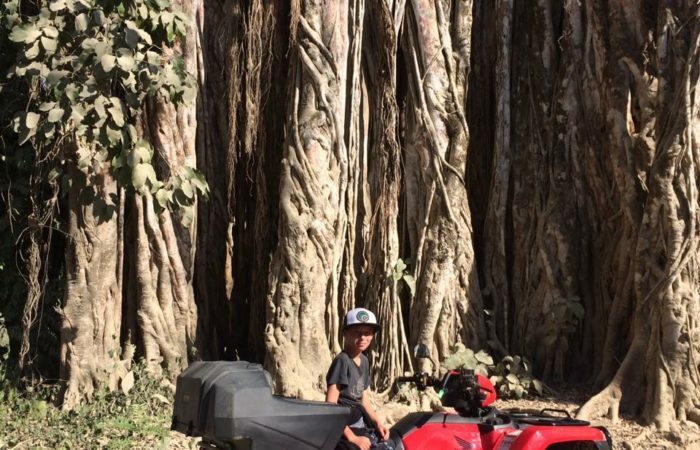 Your visit to Costa Rica is not complete without seeing Montezuma and its famous waterfalls. 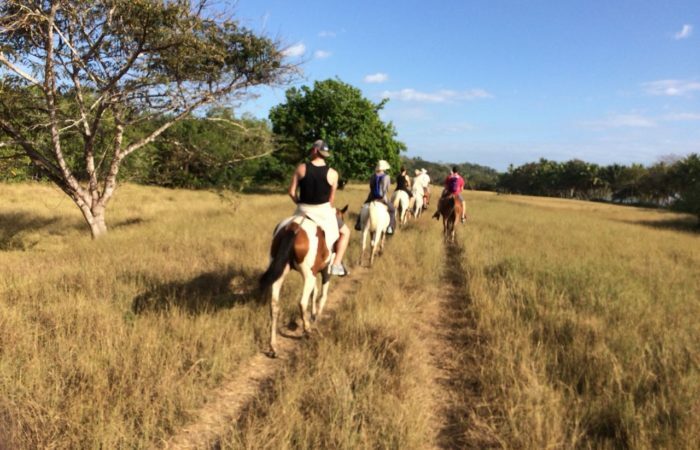 On this half-day tour you will experience a fun combination of activities. First, you will face the challenge of swinging from one tree to another on one of the most beautiful ziplines in the country. 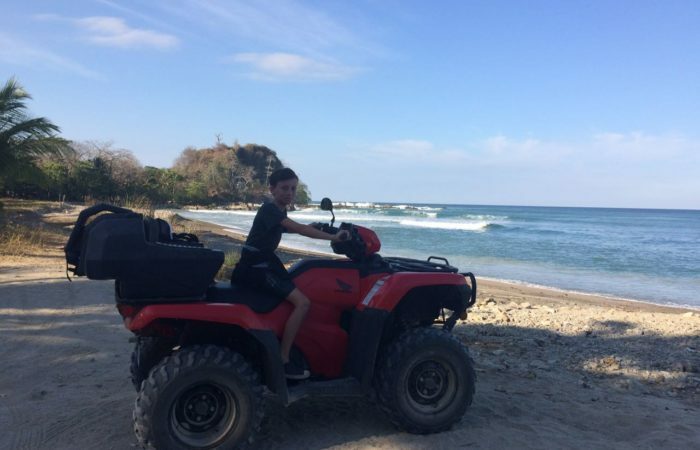 Then, you’ll ride on ATVs through the mountains on dirt roads to the southern tip of the Nicoya Peninsula, where you will find empty white sand beaches and the village of Montezuma. Here, you will take a short hike to the amazing Montezuma Waterfalls where you can go for a refreshing swim in the natural pools. 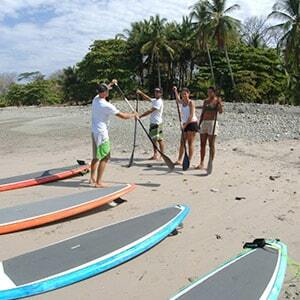 Then enjoy a typical Costa Rican lunch in one of the best local restaurants of the area. 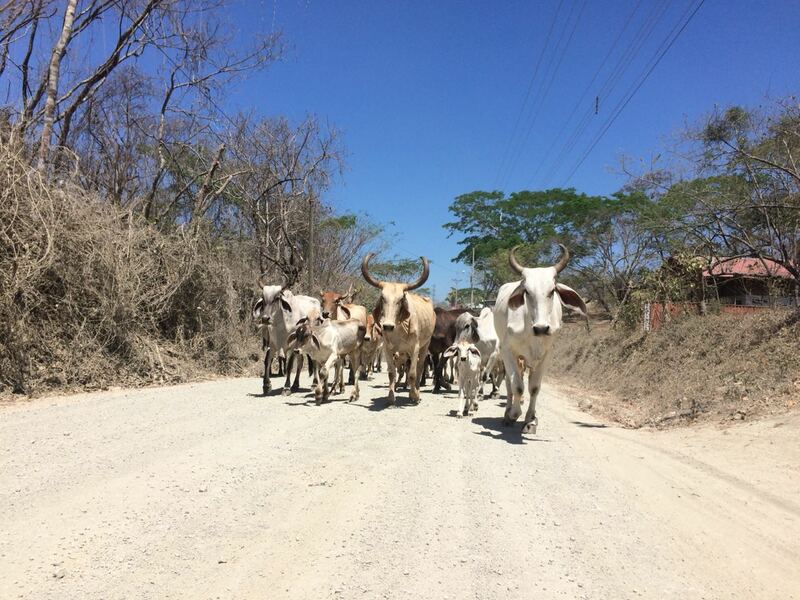 In the town of Montezuma you also will find many souvenirs from local artisans. Santa Teresa and Hermosa Beach are famous for their constant great waves. 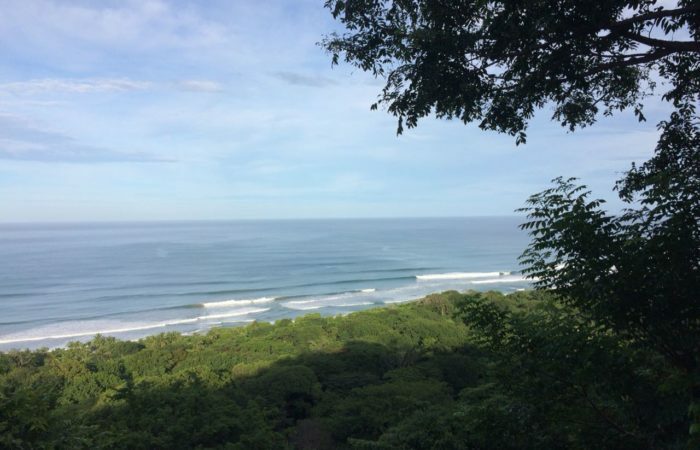 We are blessed with swells year-round – smaller waves for beginners and overhead barrels for pros! 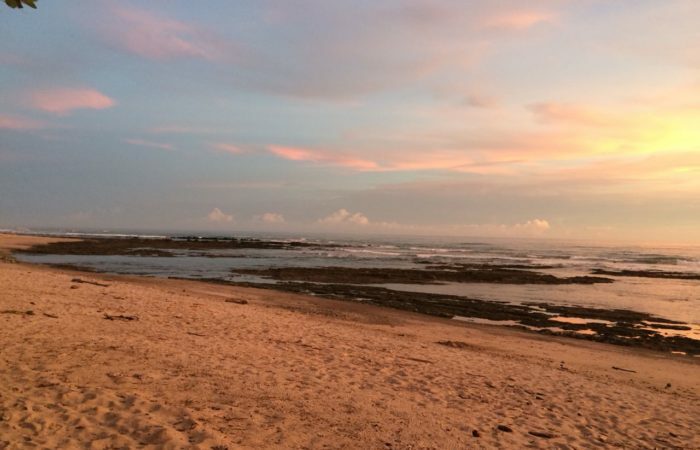 Just walk north 5 minutes and you will be right at one of the best surf spots in this area. 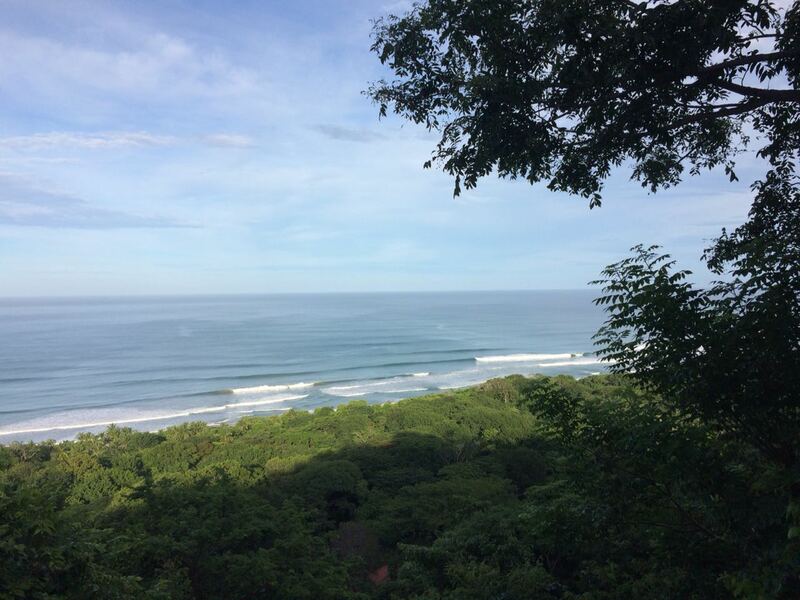 There are also many other surf spots around town, if you wish to explore; we would love to show you where. 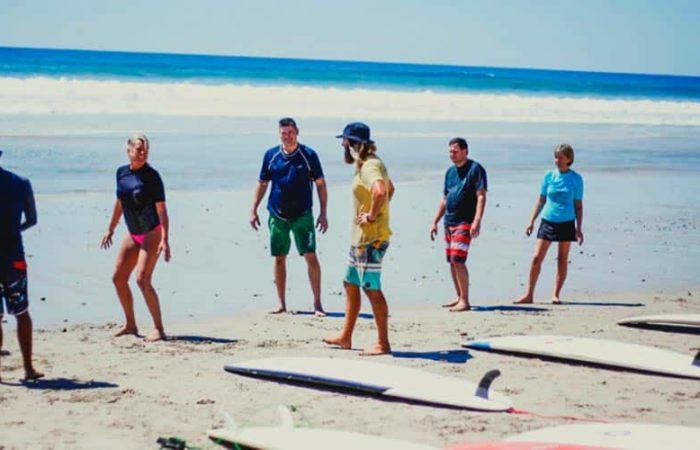 If you wish to take a surf lesson, or rent a board to try on your own, please let us know and the front desk will work out all of the details. 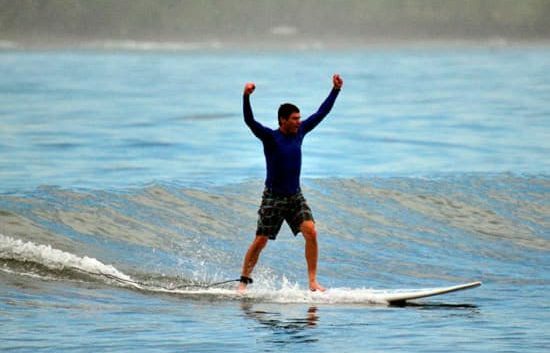 Come learn and enjoy the fastest growing water sport in the world. 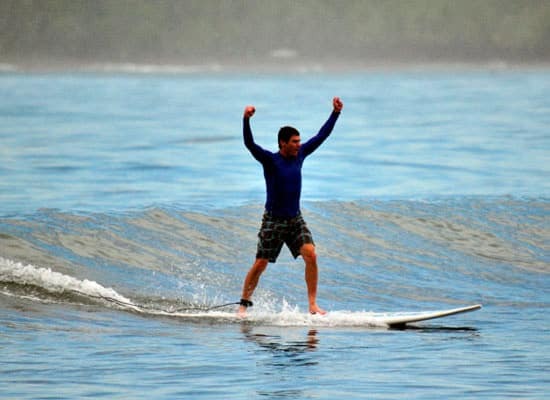 SUP, or “Stand-Up Paddle Boarding”, is lots of fun, relaxing, and is a great “All Body Workout.” It’s not difficult to learn, and anyone of any skill level can give it a try. 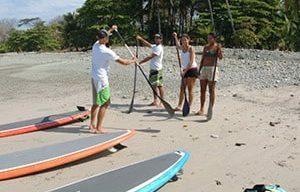 You will learn all of the fundamentals and techniques involved in Paddle Boarding, and everything you need to know about the equipment. 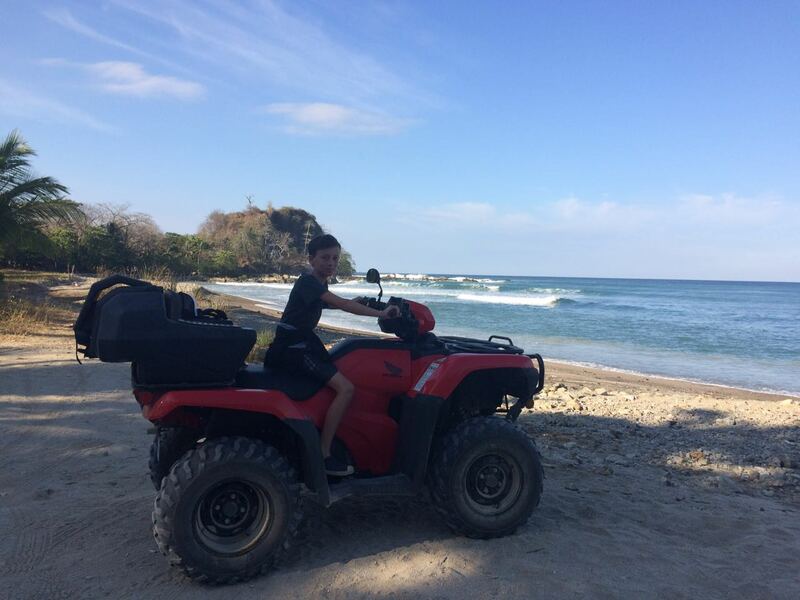 On this tour, we will paddle down toward the famous “Cabo Blanco Reserve” where you will get amazing views of the Reserve from the water. The tour lasts just over an hour in the water. The best times to enjoy this Paddle Board tour are either in the morning between 7:00 and 9:00 a.m., or in the late afternoon between 3:30 and 4:30 p.m. Maximum of 4 persons per tour. 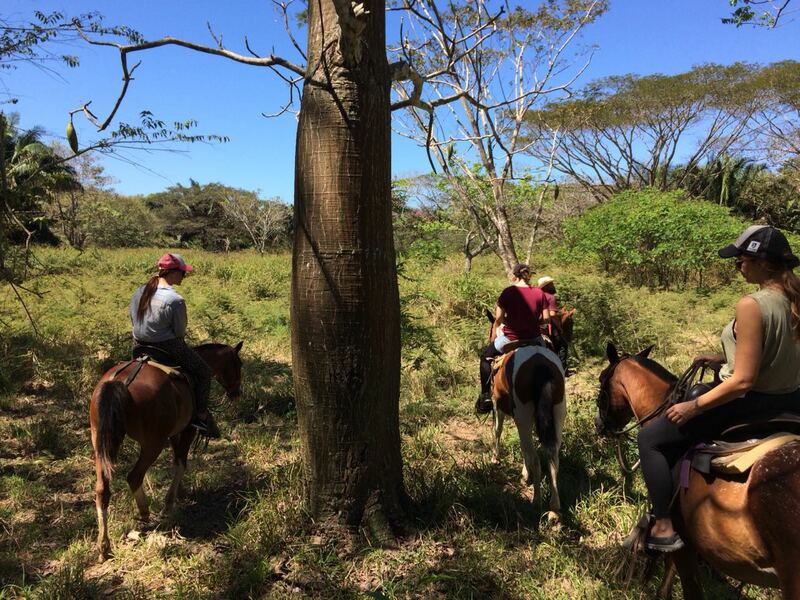 This is a tour for nature lovers! 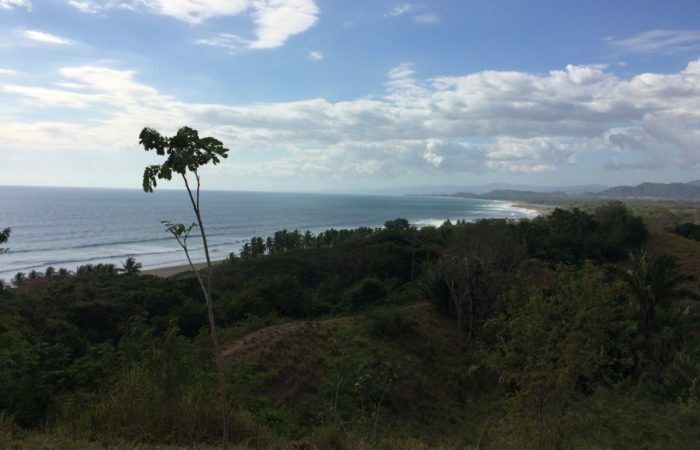 With its unique combination of climate and geographical location, Cabo Blanco ranks among the most beautiful nature reserves in Costa Rica. 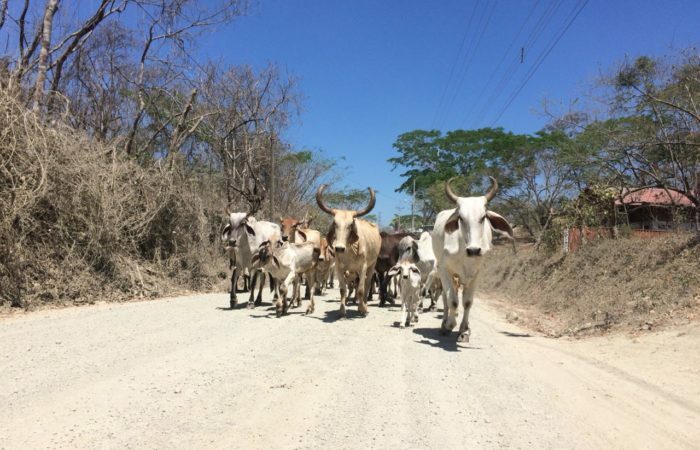 During this hike, you will see how a land once dedicated to cattle and agriculture can regenerate back to original forest. Choose from a short walk of 2 hours or the long trail of 5.5 hours. Those willing to do the long trail: get ready for some physical challenge and rewarding views. 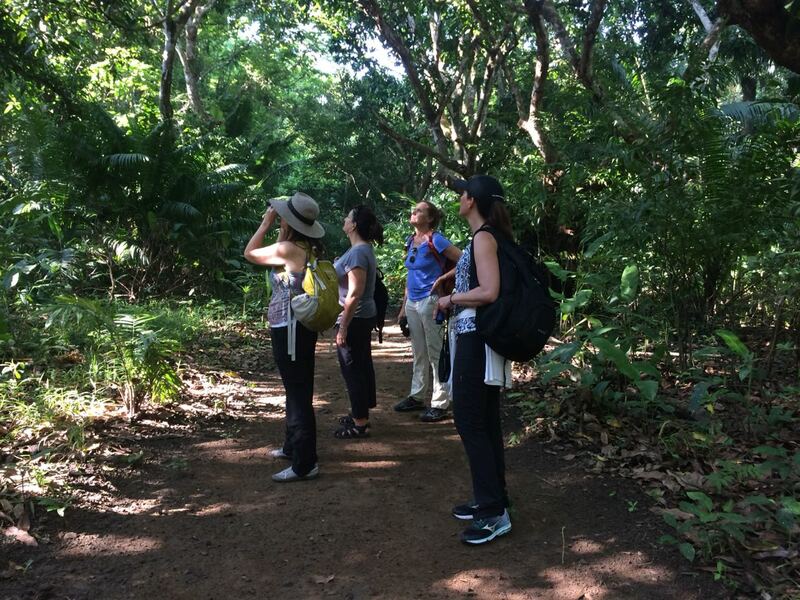 Our local guide will take you through the Nature Reserve. This was the first protected area in Costa Rica, and is one of the most important ones historically. 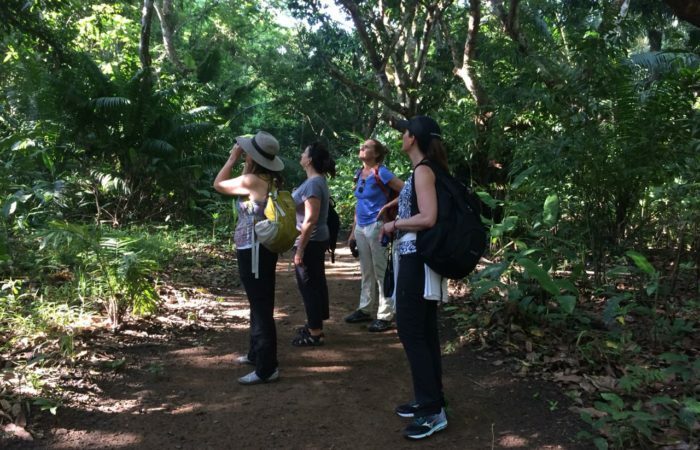 Cabo Blanco combines dry forest and tropical rainforest, which gives visitors the opportunity to see many birds, mammals, reptiles, trees and plants from both ecosystems. This tour is very rich in naturalist content. What to bring: closed shoes, insect repellent, hat, sunglasses, sunscreen, camera and plenty of WATER. If you are doing the longer hike, you should also bring a picnic lunch. The restaurant at the hotel would be happy to prepare lunch to go. Please confirm this with the front desk when you book the tour.